The shop is located in the Northwest section of the 50th & France shopping district, next to the construction area. We are not directly facing 50th or France. From the West: Take Hwy 100 to 50th st. turn to the East. Turn left (North) on Halifax Ave S. (becomes Market St. Park in the ramp to your left. Follow the “Purple Route” on the sidewalk to the shop. From the North via 35W: Take the 46th st. exit. Continue straight onto Stevens Ave. S. Turn right on 50th St. Turn right on Halifax Ave S. (1 block West of France Ave.). Park in the ramp to your left. Follow the “Purple Route” on the sidewalk to the shop. From the South via 35W: Take Hwy 62 West to France Ave. North. Turn left on 51st st. (this will turn into Halifax & then Market after you cross 50th). Park in the ramp to your left. Follow the “Purple Route” on the sidewalk to the shop. $5.00 fee, includes treats, support on projects, 10% OFF yarn and all sorts of FUN! 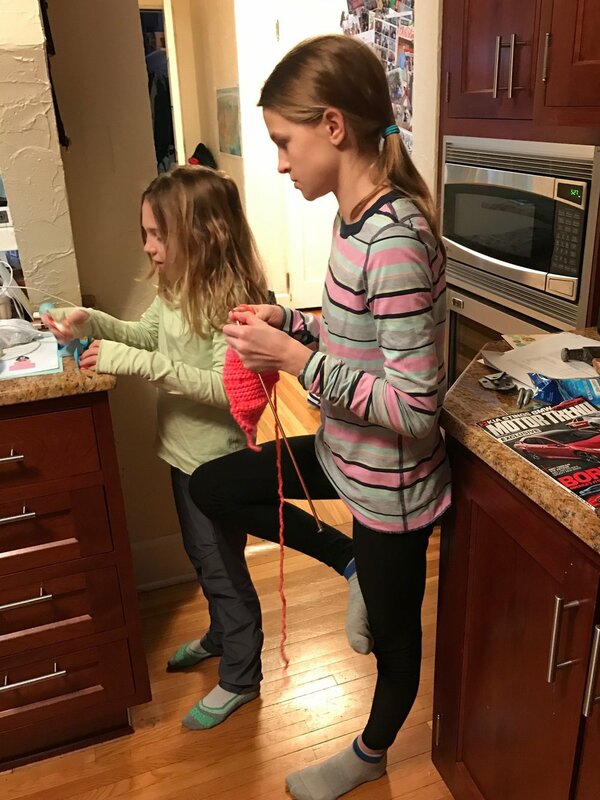 Knitting in tree pose in the kitchen, and so much more.